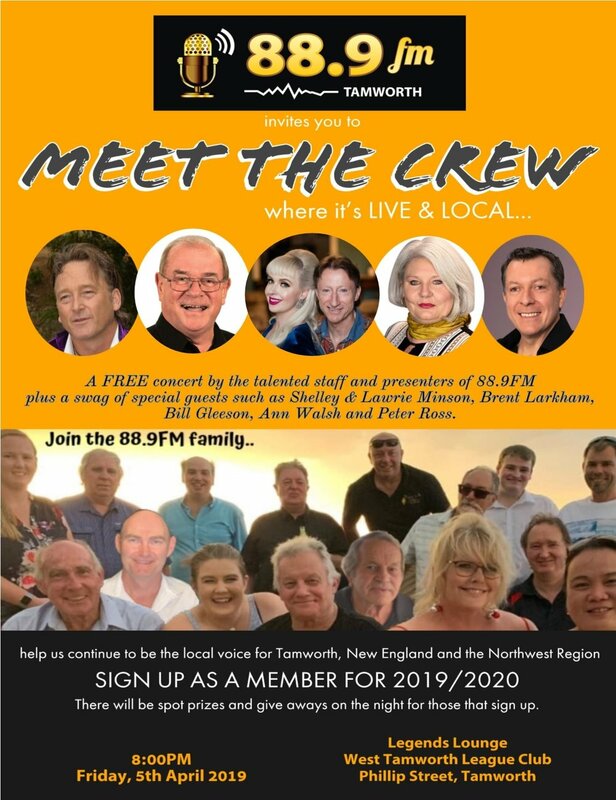 You listen to them every day on local radio station 88.9FM, but on Friday, 5th April at Wests, you will have the chance to see if the faces fit the voices. Members of the community will be entertained at a FREE concert, featuring 88.9FM’s own: Jodie Crosby, Howdy, Scott Mcilveen, Marc Jackson and Emma Bailey. PLUS a swag of other local musicians such as Shelley and Lawrie Minson, Brent Larkham, Ann Walsh, Peter Ross and Bill Gleeson. The remainder of the on-air team including Johhny Mac, Dan Missen, Ray McCoy, MacCa, Hellie B and George Frame will host the concert. There will also be the opportunity to mingle with the on air talent and team. It is rare to find such a wealth of musical talent both on and off air in one workplace. The station employs 15 full time and 3 casuals with many performing on the night. It is a natural fit for the station says 88.9FM CEO, George Frame and is a way to interact face to face with the community. There will be spot prizes and giveaways on the night for those that sign up as a member for 2019/2020. Membership starts from $7.00. 88.9FM offers great music, local news, outside broadcasts, event support and a range of other initiatives that support local people, business and community organisations. He is encouraging anyone who will be at Wests on Friday, 5th April to come along, enjoy the entertainment and sign up as a member. Powered by Push Design and Squarespace.